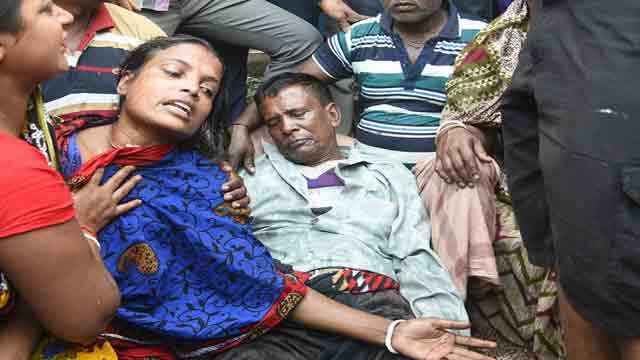 Chittagong, Dec 22 (Just News): The probe body, formed to investigate the incident of stampede at the qulkhwani of former Chittagong mayor Mohiuddin Chowdhury at a community centre here, did not find the evidence of any act of sabotage, but blamed its organisers for mismanagement. The probe report which was submitted to the office of Chittagong Metropolitan Police (CMP) Commissioner on Thursday night stated that it was 'just an accident, and no one was responsible for it'. But, the report said, faulty construction of the community centre, mismanagement of the programme organisers, volunteers and attendees of the qulkhwani are responsible for the accident. After submission of the probe report, Deputy Commissioner (South) SM Mostain Hossain of CMP and also the head of the probe body, said, "We, in the report, made several recommendations. We've suggested the authorities concerned to keep the operation of Rima Convention Centre suspended until the faults at its entry point are fixed." He said the organisers need to take all-out preparations and informed the police while organising such a big programme. On December 18, at least 10 people were killed and 50 others injured in a stampede during the qulkhwani of late former Chittagong City Corporation Mayor ABM Mohiuddin Chowdhury at the convention centre at Askar Dighirpar in the city.